AG. Do you feel that it was an increased sense of security threat inside India that led to these tests? Gen. V.P. Malik. No there is no immediate threat. This has been debated over a long time. To go back to history, a country in our neighbourhood tested its first weapon in 1964 there after they have carried out 45-46 tests. If we are talking of a regional environment then there is another country – although they had not tested overtly there were very credible statements made by their Prime Minister, ex-PMs and chiefs and ex-chiefs saying ‘that we have it’. I can quote those statements—starting from ’90, ’92, ’94. Not only in theirown country, but even when they have gone abroad they have made those statements. Then there has been the pressure that we shall have people who have it and we shall have others who will not have it. So a lot of these factors came into play when the decision was taken—but if you’re asking whether there was any military threat, immediately, no. Our threat today primarily is in terms of terrorism, militancy, a proxy war as we call it—sponsored by a neighbour—which has got nothing to do with the nuclear tests. AG. You must be aware that some military theorists believe that a nation that acquires nuclear weapons only increases its vulnerability. After these explosions there have been many more skirmishes along the border: do you think there is any connection? Gen. V.P. Malik. No, I don’t think there is any connection whatsoever. Although we heard these voices in our neighbourhood that we have it, now of course they say we heightened it. As I said please do not connect nuclear weapons with militancy or terrorism. In the last few years the intensity of proxy war has gone up, it has been going up for quite sometime. If so many massacres are taking place now—that has got nothing to do with nuclear weapons. [It is] because they think Jammu and Kashmir is their problem and because they want to internationalise that problem and put more and more pressure on us. I don’t think any sane military man would look at nuclear weapons for a thing like this. I haven’t seen any such statement from any professional on either side of the border. Some other people might have said it, but no military professional has connected these 2 issues. AG. There is a point of view that says that conventional armies increasingly find it difficult to deal with low-intensity warfare: their tactics and strategies are such that conventional armies find it impossible to respond. Is this the case? 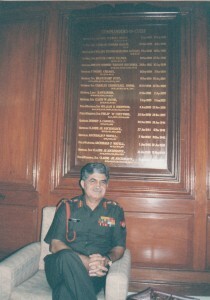 Gen. V.P. Malik. Well, its not easy—because lately the number of low-intensity conflicts that are happening in the world has risen, especially after the end of the Cold War.There must be around 35 or 36 places where such conflicts are going on. So far as terrorists are concerned, they have no accountability, they can win or they can lose. As far as armies are concerned, they are accountable for a lot of things including human rights. Also since they are last instrument of the nation, they have to win, they cannot afford to lose, so there is a pressure on the armies. But let me also say that the Indian army hasn’t done too badly—we had a problem in Punjab which we managed to overcome…..But the peculiar situation in Jammu and Kashmir is that it is very heavily sponsored from outside. So it might take time, but I’m an optimist. In a way we’ve gained quite a lot because elections were held, first the state assembly and thereafter the Parliamentary elections, and in J and K today you have an elected Chief Minister, and representatives in the Lok Sabha. In the whole of the state it is the writ of the civil authority which runs—barring these incidents created by the militants and the situation even as far as tourism is concerned in the state, this year I believe we have had the largest number of tourists in many years. So today the situation there is that the locals are less interested in carrying on with those who were brainwashed. AG. : What was exactly the military logic behind the testing at this time. Are there any pressing security reasons? Gen. V.P. Malik. : Nuclear weapons are not military weapons. So the first thing I’d like you to notice is that these are political weapons and they must be viewed as such, they are today weapons to deter others from using this weapon—those who have it. So firstly it is not a military weapon so far as we are concerned. Secondly it is a weapon to deter others so that we do not become a victim. It is to prevent or safeguard, to ensure that no one who has it should use it on us. AG. : There has been a lot of talk recently about command and control systems and whether there are any in place at the moment. Can you comment on this? Gen. V.P. Malik. : Well, it’s being discussed. All I can tell you is that whatever command and control that can be put, the whole thing would be put totally under the control of a political authority. AG. So it will essentially be under civilian control. AG. : So in effect you’re saying that army will have no control over those weapons? Is there going to be a separate strategic force just for nuclear weapons—as there were in Russia and the USA? Gen. V.P. Malik. : Lot of people go back to those days of the Cold War—but there are a few ways in which our policies are clearly different. For instance we believe in no first use, so its not the same environment in which the USA or the erstwhile Soviet Union looked at each other during the Cold War.we will have minimum deterrence and the ultimate authority shall lie with civilian authorities. At the lower level, if and when the advice is sought, naturally it’s only then that the military will come in — but I wouldn’t like to comment on that now. AG. If some day we do have nuclear weapons we will require procedures that would require marrying of nuclear warheads to delivery systems. Would that be under civilian control as well? Gen. V.P. Malik. : Well, we are working on all those things where civilians, military, scientists all will be involved. AG. What about tactical nuclear weapons? Gen. V.P. Malik. : I don’t think we are thinking on those lines—the scientists, the technologists say they have the capability, but when we are talking about minimum deterrence, you’ll agree with me—we are not thinking about large numbers. AG. : As far as control of nuclear weapons are concerned, you say that the army will be conceding a large part of its authority to civilian authorities. Is this something that the army welcomes? 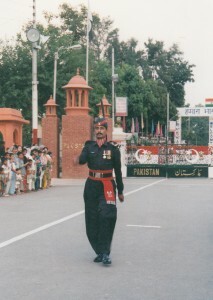 Gen. V.P. Malik. : There has never been any dispute on that aspect. We are a democratic country, the army is an instrument for the services. And we are quite happy in giving control to civilian authorities—I don’t think the question of ‘giving away’ arises at all. And it changes nothing. Gen. V.P. Malik. : Well in any crisis situation, we have very close interaction with the departments and civil authorities. We have a system of the cabinet committee headed by the P.M. So when there are serious events taking place, we get our orders when we need to, either from the concerned minister or from the cabinet committee headed by the P.M..
Asma Jahangir on her early life:“I went to school here [in Lahore] and then college – Kinnaird College [in Lahore] – and then I took my law here. I am completely indigenous. I was born in a household where my father was in politics and he was always in the opposition. And so I have seen him go in and out of jail. He was one of the few West Pakistanis who were from the Awami League – [which had most if its support in what was then East Pakistan]. So one has seen that whole aspect of what is treason and what is a traitor as compared with people’s basic rights. During the [Bangladesh] war and before that he was in jail for many years. During Ayub Khan’s time he was in jail for many years. AG:What can be done about human rights? Asma Jahangir:“A lack of institutions, and an institutional response. At some point you have to depend on state institutions for relief. You can take a movement that far but not beyond; beyond that is a wall if you’re not getting discussion in parliament; if you’re not getting relief from the courts. That is one. The second is a mind-set. And that I have no doubt cannot change that quickly. And that mind-set when you change it, you have to then marginalise more reactionary forces. There are [such reactionary forces] in every society, whether in Scandinavia or Germany or Australia. Asma Jahangir:“If you ask me, anything is a possibility between India and Pakistan. Because our policies are irrational. Our decision-making is ad hoc. We have been surrounded by disinformation [about] each other. We have a historical enmity. We have this whole emotionalism of jihad against each other – on our part it is jihad; on your part there is a lobby that will never accept the existence of Pakistan. Asma Jahangir:“Frankly, I don’t think the two governments are sincere about settling the issue. On the one hand, it’s a complicated issue whether Pakistan should be interfering or not. Pakistan gives the example of Bangladesh where people were really being oppressed and were going to lose many lives. If the government of Pakistan were to intervene I would be happier; I am not happy at the idea of vigilantes intervening. It’s like me putting up an army and saying I want to fight a war in Bosnia. The answer I get to that is, no, Bosnia is not a disputed territory and Kashmir is. But let the government of Pakistan be in charge of what they are doing there. 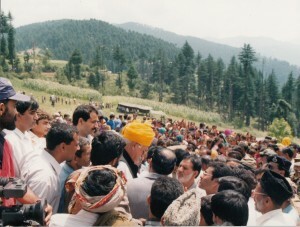 At the same time I have read, particularly in the past two, three years a number of reports, even by the Indian NGOs about the kind of intervention the [Indian] army has had in the Valley, and you cannot expect people not to be antagonistic – the number of people that have been killed, the number of women that have been raped. These are not exaggerated figures, because they have come from Indian NGOs themselves. Unless those people themselves are in the process of dialogue you will not be able to have a long-lasting solution there. Because let us even presume tomorrow that India and Pakistan for whatever reason, decide the issue – it will not be closed. The issue will come up time and again unless there is an interaction with the leaders of the Kashmiri movement themselves. And perhaps the question then is who are the genuine leaders? A mechanism ought to be put in place – certainly not without India and Pakistan – to ascertain who are the genuine leaders there. 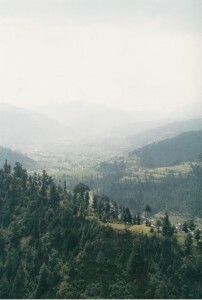 [In the process] even their (the Kashmiris’ ] own perceptions of where they want to go may change. When people are confronted with [such a situation] then the rhetoric finishes. Then it is reality [that they are dealing with] and in a situation of [confronting] reality they may take a very, very different stance. Asma Jahangir:“In our country we feel that if we solve the situation with anything short of having Kashmir with us it will be very unpopular with the people of Pakistan because of the high profile that we have given this issue and because of the rhetoric that we have had. in Lahore, a Constitutional Amendment was introduced in Pakistan’s Parliament, the Majlis-e-Shoora, proposing the establishment of sharia’a law in Pakistan. Over several days, there were protests by lawyers and other related groups. I asked Asma Jahangir what she thought of the proposed amendment. Asma Jahangir: “First of all, the intrusion of religion and religious orthodoxy into the politics of Pakistan. This has never been resolved; there were always strange compromises. Secondly, the whole question of provincial autonomy (needs to be addressed). This has hounded Pakistan’s politics, even to the extent of having lost one part of Pakistan because of the majority-empowered province’s mentality of trying to push their decisions on others. Previously these issues were sort of muffled, or they had not come to the surface because there was always a dictatorship and the smaller provinces were threatened with being called traitors if they said anything against the federation or the power of the federation. With the democratic process – and I must give credit to the Press particularly – people have begun to speak up and a debate has been generated. Asma Jahangir: “The Americans supported Zia ul-Haq, who was one of the most ruthless dictators in our part of the world. They supported his Islamisation process until the American people woke up to what he was doing to women. When Zia ul-Haq came to power he was completely backed by the Americans to back the jihad in Afghanistan. The American centre used to send scholars to lecture us on this. To the extent that we’ve heard lectures there where scholars have told us how great Saudi Arabian society was, and that women could operate within their own sphere of life. After a while people said, well, if it is such a great and romantic system, perhaps the United States needs to import it themselves. “At that time we did not have that violent a society where kalashnikovs were easily available and we did not have this rampant a drug culture in our country. This all started with the Afghan war and the jihad. And this so-called jihad did create a very strong network of orthodoxy in our country and we are still suffering under that. So even liberals are a little bitter at the fact that these problems were created by the West. I’m not saying that one can rest on the premise that it’s the West that creates problems, and that it’s the West that can do away with our problems. We are to blame for our own follies. Except that in the case of Zia ul-Haq, it was not as though people here weren’t struggling against him. Several people got flogged, including lawyers. Several people got executed – even boys as old as fifteen. People went to jail. I do not recall any of my colleagues in the Human Rights Commission who did not go to jail at that time. 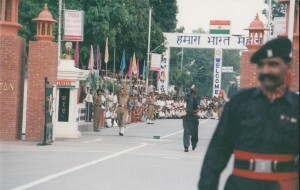 My essay Countdown, was written against the background of the Indian and Pakistani nuclear tests of May 1998. It appeared in The New Yorker of October 19, 1998. In 1999 my Indian publisher Ravi Dayal issued an expanded version as a short book, under the same title (Countdown, Ravi Dayal, New Delhi, 1999). It was also included in my essay collection Incendiary Circumstances (Houghton Mifflin, 2005). 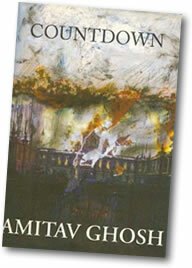 In the course of writing Countdown I travelled to many places – Kathmandu, Lahore, Islamabad, New Delhi, Bombay, Pokhran, Leh and the Siachen Glacier – and interviewed a great many people: activists, journalists, soldiers, generals, strategic thinkers, diplomats, experts, politicians, physicists and of course, many bystanders and ordinary citizens. For most of these interviews I took notes; only a few were recorded and later transcribed. As is so often the case only small fragments of these interviews made their way into Countdown. Re-reading these interviews now it seems to me that there is much in them that is still relevant so they will appear on this site as an extended series of posts. Asma Jahangir is to my mind one of the most admirable figures of our time. As far as I am concerned if anyone deserves the Nobel Prize for Peace it is Asma Jahangir. 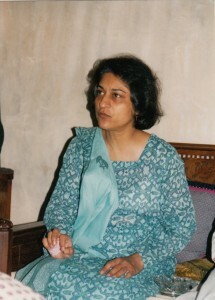 I met Asma when I traveled to Lahore in August 1998. Before the meeting, a friend said: “If you put Asma on one side and a million men on the other, there would still be no doubt about who would win.” This led me to expect someone larger than life, but Asma Jahangir proved to be a slight, diminutive woman with the wiry intensity of a high-tension cable. For her defence of the rights of religious minorities, Asma has received many death threats. Members of her family have been attacked and taken hostage, her home has been broken into. As we spoke, a unit of black-uniformed bodyguards stood outside, drowsing beside their kalashnikovs. 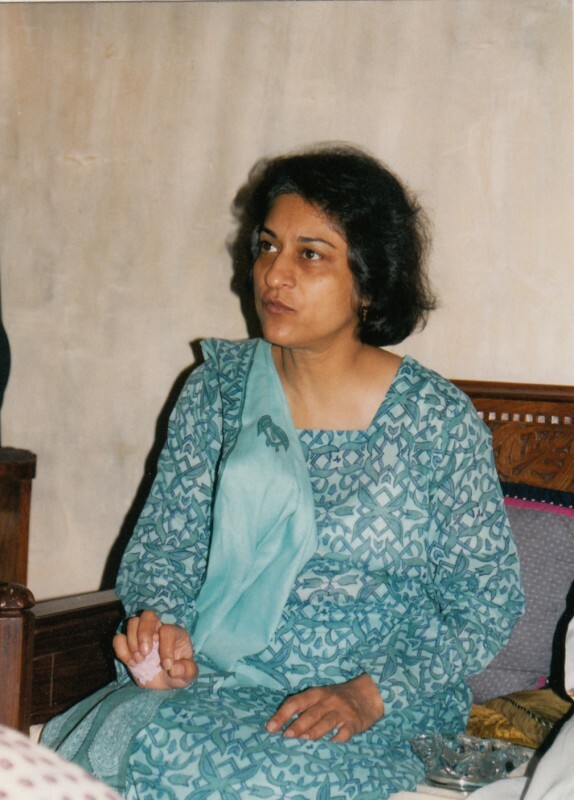 My interview with Asma was recorded on August 29, 1998; she was then 46.